Prepare a large container of ice and water and set aside. 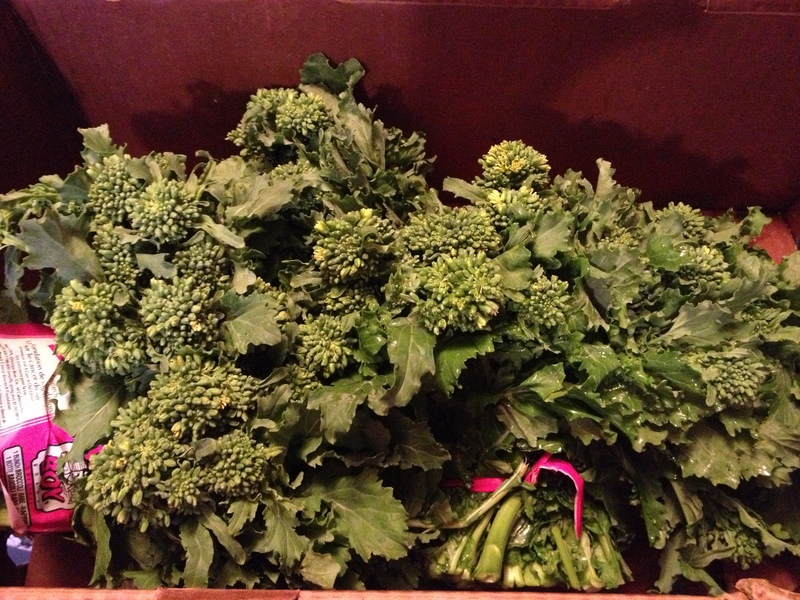 Cut off any discolored stem ends and wash rapini in water. Bring a large pot of water to a boil and drop rapini in. Keep rapini in the hot water for 1 minute (blanch). Drain immediately and place rappini in ice water bath. 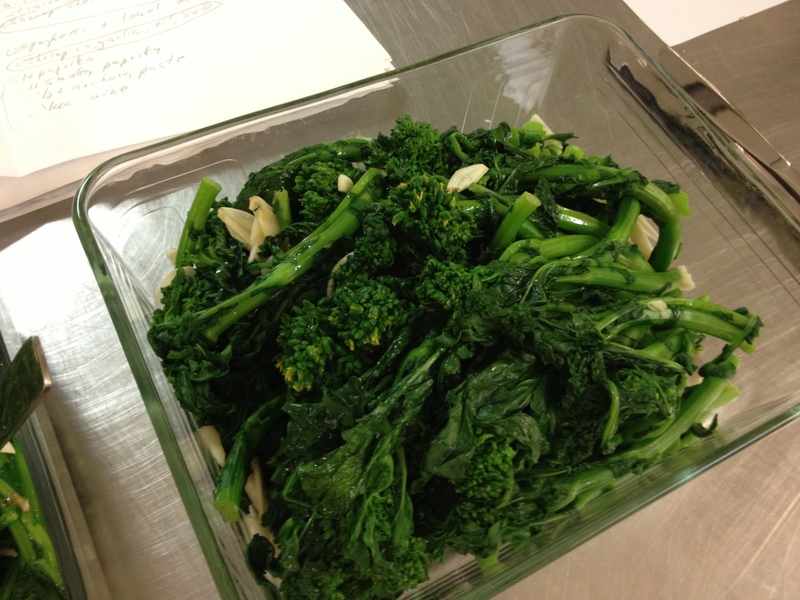 Rapini should be crisp tender and bright green color. After rapini is chilled, drain well and wrap in paper towels to soak up extra water. Place in a container and toss in garlic. Drizzle lightly with olive oil. Also may be served on a slice of toasted crusty bread. Drizzle balsamic. Top with large shavings of sheeps milk cheese. 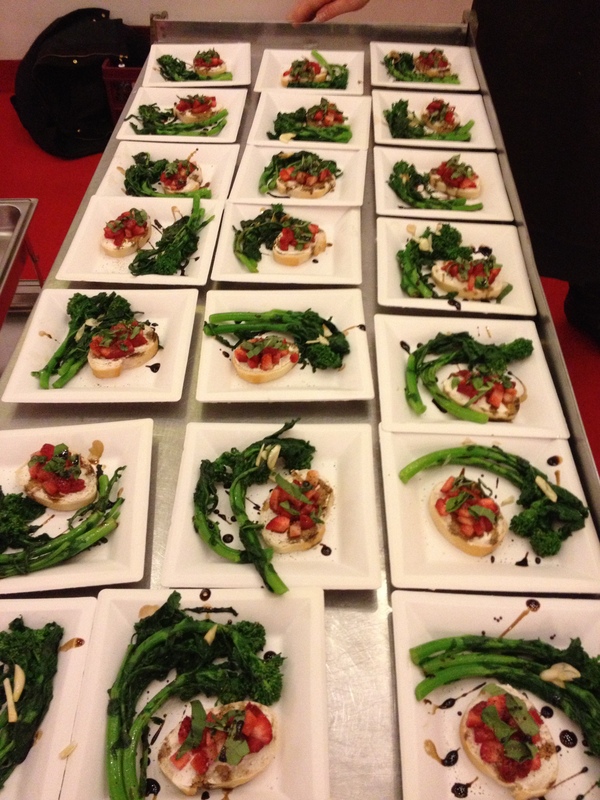 Posted in salads, vegetables and tagged balsamic vinegar, blanching vegetables, broccoli rabe. Bookmark the permalink.